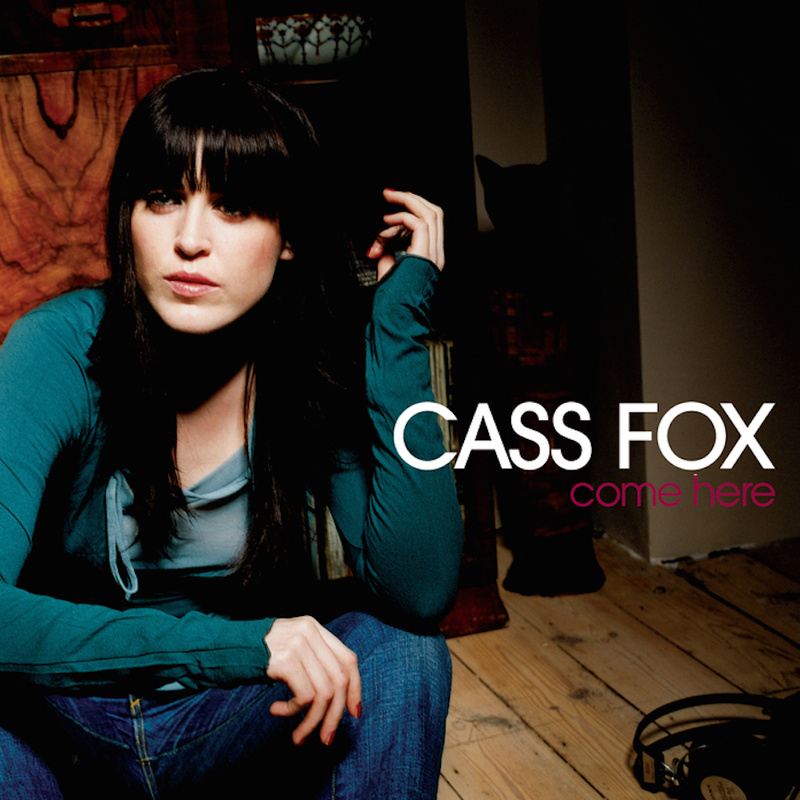 Today’s POP RESCUE is the second edition of the Cass Fox debut album Come Here, released in 2006. When I saw this album in the discount store, I was sure I’d never heard of her. The lavishly coloured sleeve drew me to it, and flipping it over gave no sure clues as to what it would be like. Headphones and a vinyl record collection feature on the back, so i took a guess that it might be dance. The album opens with Out Of My Reach‘s strings and record scratches, as a sample of Parliament‘s hit Come In Out Of The Rain plays. Cass‘ vocals sound perfect pitched against this slinky, slow funky number. There’s some wonderful backing vocals and harmonies here, not just between Parliament and Cass, but between her lead and backing vocals. This makes for a very catchy track, that unsurprisingly stood as the lead single. A great start. Million Dollars follows, and this is a nice warm bass and gentle beats track. It builds – adding in some funky guitar and strings, as Cass’ vocals effortlessly weave through this track. Strings open Save Me, before switching over to some more beats and bass. Cass’ vocals are soulful and rich here, and sit perfectly against the downbeat track. To some degree, Cass is like a softer, more soulful, version of Mutya Buena here. Next up is Daddy Dear, which sounds a bit like a country song – musically, lyrically, and vocally. This has a really nice warm feeling to it, and the tempo makes me tap my foot along on first listen. There’s an impressive mandolin section about 2/3rds of the way through. Title track Come Here follows this, opening with some nice beats, strings, and a simple piano looped segment. Cass’ vocals are delicate and rich here, and she’s wonderfully pitched against the strings. Aside from her obvious Irish origins, there’s an element of Enya here. This is followed by Strangers, which fades in with strings and a bubbling synth before a mid-tempo beat kicks in. This feels a little like it could easily have been produced by Massive Attack or Craig Armstrong, with its rich soaring strings and beat layering. Again, Cass gets in some great vocal harmonies with herself, as well as scaling quite a vocal range in tandem with the strings. Live A Little is the seventh track, and this is a return to the soulful funk of the first track. At times, this song reminds me a little of Beverley Knight. Pace picks up for the single Army Of One, which has a great little synth hook and a stronger beat to it than most of the songs we’ve heard here. Cass’ vocals sound a little more Sugababes here, but her style doesn’t stray far from the rest of what we’ve heard on this album so far, thankfully. It’s then no surprise to learn that amongst the credits is Craig Dodds (or ‘Craigie’) who had worked with the Sugababes. There’s a nice little acoustic guitar break, where she sings over some brooding strings before the beat returns. Next up is God Likes Good Lovers, and this starts off sounding like a slow, slinky, Dusty Springfield song, with it’s gentle beat. It has some strange brass sample placements, which kind of jar a bit and feel like you’re accidentally playing a second song unintentionally for a split second. Cass’ vocals are great, and she gets some nice backing harmonies as strings and acoustic guitar weave around her. It’s a nice song, but wtf are those badly placed brass stabs doing randomly in this song? This is followed by Little Bird, the final single in 2006, although it seems that it was released as Cass Fox with Deep Skies (my favourite remix, of which there seem to be a few, is this Mike Koglin Mix), which opens with some wonderful sounds – almost dolphin/whale sounds, before guitar and Cass’ backing vocals fade in, building this track up. Cass finally takes lead vocals 1m 20 seconds in, by which time the track has swollen perfectly with a myriad of sounds and instruments. This is a wonderfully delicate little song, even after the drums do finally arrive. Penultimate track is Touch Me, and as soon as it began, I realised that actually I DID know a Cass Fox song – this is a more mellow version of her huge hit with Rui Da Silva when she was known as Cassandra Fox – Touch Me from 2001. However, it is still perfectly formed and comes complete with strings and bassline and a slightly stronger vocal performance. It’s just as great as the hit single. This version received a further release after this album. The album closes with Into The Blue, which begins with Cass’ lone vocal which stands rich and strong. She’s soon joined by her own backing vocals and a synth, and then a piano, bass and acoustic guitar as the song builds up and up. This is a beautiful song – lyrically, vocally and musically. A wonderful way to end the album. Over all, this album isn’t dance – it’s more electronic and folk and soul, which is clearly not a genre. Aside from that, it is vastly underrated, and Cass deserves a second wind of success. Musically, the album is beautiful, vocally and lyrically it matches the music wonderfully. This album is going to get a lot more plays from me. You really should hear it. Where is Cass Fox now? Having faced a legal battle with the first version of this album that resulted in it being cancelled, this re-issued edition with a slightly different track listing appeared almost 9 months later. Despite the big hit from 2001, Touch Me was the only charting single from it – stalling at #52. I’m wondering just how many people realised that this was the hit’s co-writer and original vocalist? Having worked with Rollo and Sister Bliss on this album, it came as no surprise that Faithless would feature Cass on their single Music Matters, which faired a bit better, reaching #38 in the UK singles chart. She has since featured on further singles by Michael Gray and Rune RK*, and re-released her Touch Me hit with Paul Oakenfold in 2014. As of 2015, she has been recording her second solo album. 2006 UK CHART POSITION: Did not chart in the UK. Cass Fox – Army Of One on MUZU.TV. Posted in 2000s, Cass FoxTagged 2006, album, Army Of One, Cassandra Fox, Come Here, Come In Out Of The Rain, Craig Dodds, Deep Skies, Faithless, Little Bird, Out Of My Reach, Parliament, review, Rollo, Rui Da Silva, Sister Bliss, Touch MeBookmark the permalink.